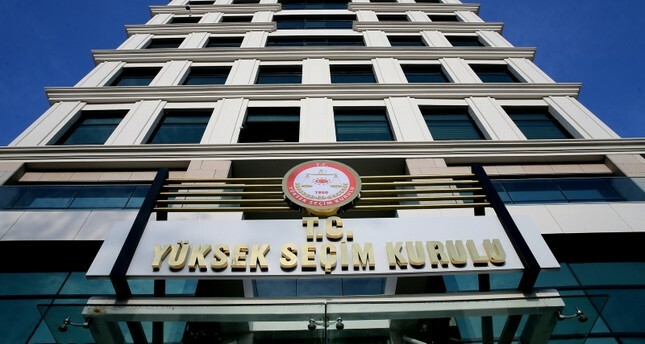 Turkey's Supreme Election Council (YSK) on Friday ruled for a do-over of the March 31 election in the Keskin district of central Kırıkkale province and the Honaz district of western Denizli province. The election in Keskin came down to six votes, with Good Party's (IP) Necati Alsancak holding a slim lead over Justice and Development Party (AK Party) candidate Dede Yıldırım. Alsancak received 1,806 votes while Yıldırım garnered 1,800. Earlier on Friday, YSK announced its decision that the election in Honaz district of Denizli province would be held again on June 2. In Honaz, Republican People's Party (CHP) candidate Yüksel Kepenek received just eight more votes than AK Party candidate Turgut Devecioğlu. An initial recount reduced the gap to three votes, and a third recount showed Kepenek leading by only one vote. The AK Party contested the results, and upon evaluation, YSK accepted the AK Party's objection and called for a rerun. An election rerun will also be held on June 2 in the Yusufeli district of the eastern Black Sea province of Artvin, where the race between AK Party candidate Eyüp Aytekin and CHP candidate Barış Demirci was too close to call. CHP had contested the results, which came down to three votes. Meanwhile, in southeastern Mardin province, YSK awarded the certificate of election to the pro-PKK opposition Peoples' Democratic Party's (HDP) metropolitan municipality candidate Ahmet Türk, who received 56.24% of the votes. AK Party candidate Mehmet Vecdi Kahraman trailed with 38.53% of the votes. In the Bağlar district of southeastern Diyarbakır province, YSK on Friday awarded the certificate of election to the runner-up, AK Party candidate Hüseyin Beyoğlu, after HDP candidate Zeyyat Ceylan was disqualified due to a previous dismissal by a decree issued during the state of emergency over his affiliation with a terrorist group. YSK council members voted unanimously on Wednesday to withhold the certificate of election to the elected mayors who were previously dismissed by a decree issued during the state of emergency due to their affiliation with a terrorist group. In addition to Ceylan, the decision affects five other HDP mayor elects in the districts of Van's Edremit, Çaldıran and Tuşba, Erzurum's Tekman and Dağpınar township of Digor district of Kars. The decision came after Beyoğlu pointed out relevant laws and decree laws saying that those dismissed or suspended by a decree law cannot serve as public officials in the future regardless of the imprisonment sentence. Following Beyoğlu's statements, the AK Party moved the objection to the YSK.